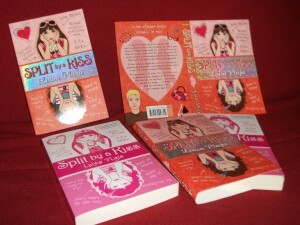 Mostly Reading YA invited me to post about my memories of the release of Split by a Kiss, as part of a Debut Summer special feature. Read the post here, and note the giveaway at the end! There’s a signed copy of Split by a Kiss to be won after the closing date of 31st August 2011, as well as lots of other books on offer. Also, Serendipity Reviews interviewed me about all the fun of Fiction Express. Read the interview, and the review of Diary of a Mall Girl. Diary of a Mall Girl is now complete. Catch up on chapters at Fiction Express. Ooh I shall link back here when the posts are up.